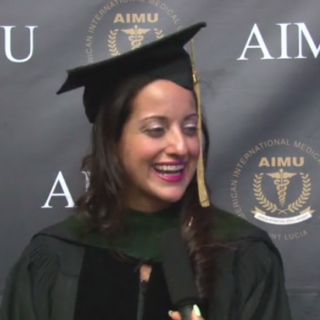 What do I need to be eligible for the MD Program? Total of 90 college credit hours of pre-medical courses are required for admission into the Doctor of Medicine program at AIMU. 1 semester of General and/or Inorganic Chemistry, with laboratory portion. 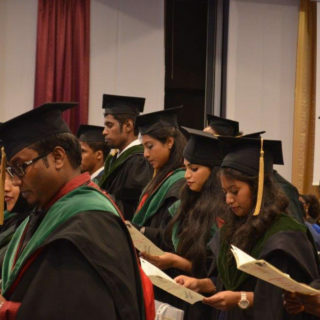 Applicants who have not met the pre-requisite courses to enter the Doctor of Medicine Pprogram will need to complete 4 semesters of the Pre-Medical Sciences Program. Those ststudents would be eligible for the 5.5 year MD Program. Academic transcripts must be sent via email to the Admissions Office ‘ cara@aimu-edu.us ‘ for evaluation to determine eligibility. The transcript must be submitted along with the completed Application Form, Passport copy, Personal Statement and 2 Letters of Recommendation. Some nationals require a visa. Depending on your nationality, an entry visa may be required. Please refer to the following St. Lucia immigration link to determine if a visa is required. AIMU provides the courtesy of processing visa applications for students who require a visa upon receipt of entire application, administrative & enrollments fees. When do I make the fee payments and how? The application fee of USD $200 must be paid before the offer letter is issued. The tuition fee payment must be made before the visa is issued to you. All fees must be paid via wire transfer to the University’s bank details provided on the offer letter. EXTERNAL STANDARDIZED Mandatory Exam Fees: approximately USD $500 per year (total $1000) for Basic Science. STUDENT GOVERNMENT ASSOCIATION (SGA) & AMERICAN MEDICAL STUDENT ASSOCIATION (AMSA) annual mandatory fee of USD $150.00 per year. HOUSING – Approximate costs for 6 months Accommodation is approx. USD $1,800. FOOD – Approximate costs of USD $260 per month for meal plan. Approximately USD $1,560 per year. MALPRACTICE INSURANCE is mandatory to perform clinical rotations at the hospitals to complete your MD degree. 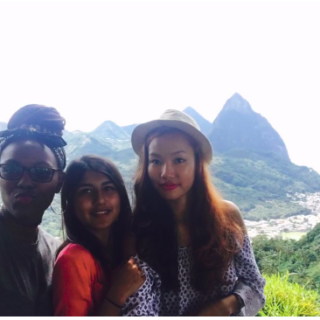 Insurance for Clinical Rotation costs USD $2,850 per year for St. Lucia/Jamaica/Trinidad/India (total cost = USD $5,700). Malpractice insurance for USA Clinical Rotations is USD $1,990 per year (total cost = $3,980). GRADUATION FEE: Mandatory Graduation fee of approximately USD $2,200. An “in absentia” fee of USD $1,200 must be paid by those students who do not attend the graduation ceremony. Cost for Graduation gowns is an additional fee of approximately USD $200. HEALTH INSURANCE FEE: Mandatory annual fee of approximately USD $200 or USD $300 per year.